We’re just about to embark on the feeding frenzy that is Thanksgiving, Christmas and New Years. So Before I dive into the three-month long binge of the festive season, I thought it was time I showed my belly some love. It’s probably one of the most hard-working parts of my body after all. This tonic might not taste too good on the way down if you’re not accustomed to veggie juices, but it will cure what ails you. My insides felt all sparkly and clean afterwards. Why? 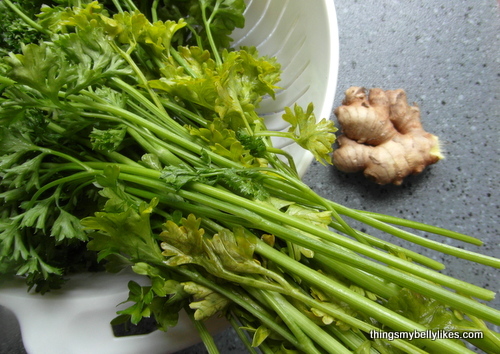 Because parsley is a great digestive aid which helps to ease bloating, constipation, stomach ache and flatulence thanks to all the powerful enzymes it contains. There’s also a bit of ginger in there. Ginger has long been known as a natural anti-inflammatory that can reduce nausea and stimulate healthy digestion. 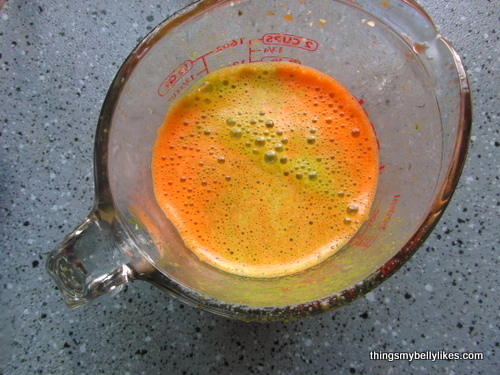 Finish it up with some celery and carrot and you’ve got yourself an all-singing, all-dancing, supercharged colon. Wash your vegetables and ginger very thoroughly (buy organic if possible since you are going to be consuming the whole vegetable – pesticides and all). 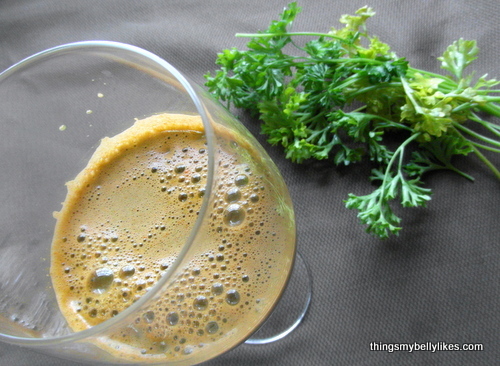 Feed the celery, carrot, ginger and parsley into your juicer. Stir the lemon juice into the final mix (this step could be omitted but I found it really improved the taste) and drink immediately – if you leave it hanging around it loses nutrients. Oh I am certainly going to need to try this!!! My stomach ALWAYS needs some digestive help!